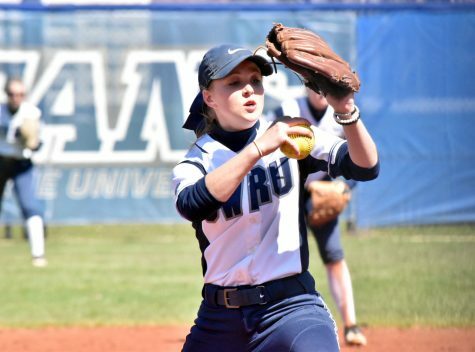 “Super-hype” and “shock” were how fourth-year outfielder Katie Wede and Head Coach Josie Henry described their reactions to the Case Western Reserve University softball team earning a Top-25 ranking for the first time ever, coming in at No. 22. Needless to say, the excitement on their faces spoke more than words ever could. “We found out [on a Wednesday] and I immediately texted the group chat in all caps, freaking out,” Wede said. Third-year shortstop Nicole Doyle added that she read every article she could find about the team’s historic achievement. “We’ve beaten some good teams and we’ve really earned respect,” Henry said. The Spartans had to recuperate after a week off following the Tucson Invitational to travel to Kenyon College for a two-game series on March 24. 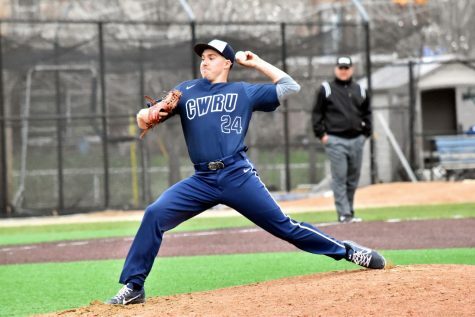 The early morning matchup did not favor CWRU. Kenyon managed two runs in the bottom of the seventh inning to win in walk-off fashion, 3-2. 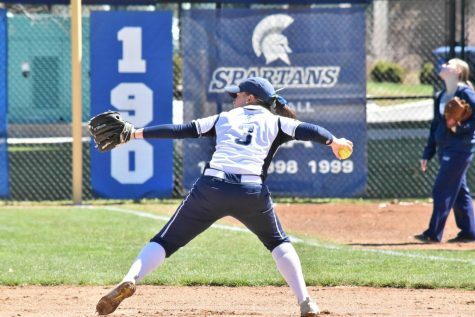 First-year outfielder Sarah Miller said that the Spartans had too many base running errors that contributed to the the team scoring a season-low two runs. 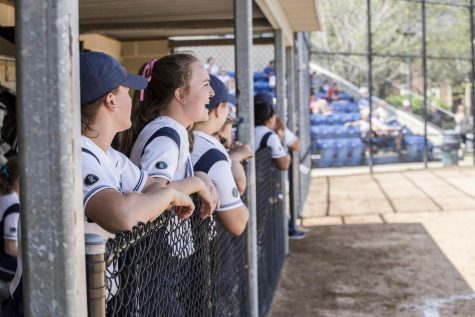 “We were kind of unconcerned, because up until now we haven’t had a lot of issues,” said second-year pitcher Nicole Carty. The team felt that everything would just fall into place and they would come away with a win. 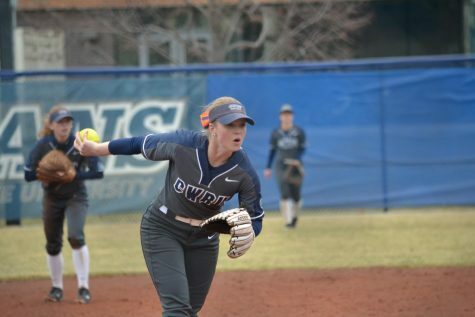 Second-year pitcher Ilissa Hamilton pitched 6.2 innings, allowing one earned run and striking out 10 hitters. However, she was credited with the loss, bringing her season record 4-1. The “real” Spartans showed up in the second game of the day. “There was a little bit more of a sense of urgency,” Wede said. The team had a mindset shift that resulted in a 8-7 win. The star of the game was undoubtedly second-year third baseman Melissa Cuellar. She went a perfect 3-3 in the game, falling just a triple short of hitting for the cycle. 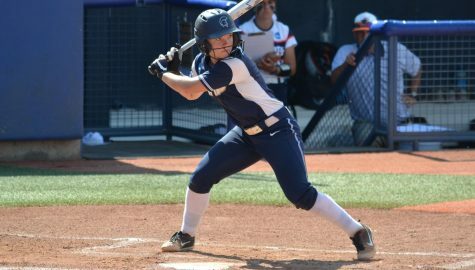 Her double in the sixth inning and her game-sealing homerun in the seventh both scored Miller, leading to three runs batted in for the game. “What really helped me do that was … [a coach] telling me I really need to capitalize and on all my opportunities,” said Cuellar. On the mound, Carty earned her first win of the season, throwing five innings and only giving up five hits. Maybe the most important aspect contributing to the team’s immense success this year is their chemistry. “Everybody truly wants the best for each member on the team … I think our success this year can be attributed to that,” Doyle said, sparking a flurry of agreements from her teammates. “I think [the team] definitely has good team chemistry” and “a lot of good traits,” Henry said. She acknowledged that this team has shown something special this year. The team threw a party in their next game: a home run party, to be exact. Against Baldwin Wallace University on March 27, the Spartans launched four home runs en route to an 11-7 victory. Fourth-year infielder Grace Tritchler hit two of her own, fellow fourth-year infielder Maren Waldner hit one and Carty smashed one of her own as well. Making this showing even more impressive was the fact that they played in cold, rainy weather. The second game was postponed due to the weather. University Athletic Association (UAA) games begin this weekend with a trip to Emory University in Atlanta. Henry said that the team’s goal is to win every series this year, and that means winning three out of four games against one of the top teams in the UAA. The tougher part of the schedule is coming up for the Spartans, who still have not played at home yet this year. But they are taking the schedule day-by-day, looking to, as Doyle put it, “slay” every opponent.